Societies ineluctably transform themselves through the natural course of time, and during this development some of their elements of heritage, whether vested in culture or articulated in other facies of human experience, are modified to meet the requirements of practice and of lived empirical contexts. And precisely there, where the most sophisticated instruments for the narration of the past exist, we may expect that initiatives aiming at representing bygone times in new forms can be a particularly interesting and challenging process. Even more so, when the past is strictly connected to current questions of identity and belonging. Namely, when the past in question contributes in reminding us about who we are. The Danish Museum Den Gamle By (The Old Town) has recently provided a privileged setting to reflect on the relation between the representation of the past and its interpretation in the present. 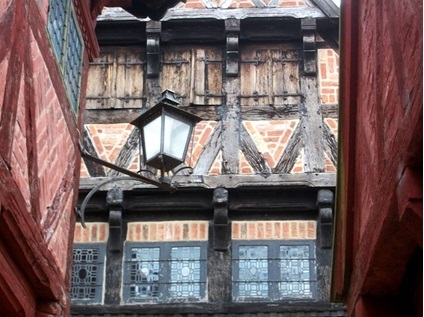 Located in Århus, Denmark’s second largest city, Den Gamle By is an open-air museum within which visitors can walk around and inside dozens of historic houses, which display examples of urban history and culture through decades of Danish history. Along their walk, visitors may meet a number of role players dressed in historical costumes and horse-drawn carriages. Evocative glimpses of the life that was, from pre-1900s to the most recent decades of the 1900s, which attract up to 500,000 visitors per year. On March 2016, the Museum added yet another exhibition to its fascinating set of cultural activities: “Et somalisk hjem” (A Somali home). As the name suggests, the exhibition consists of the recreation of a Somali domestic space in Denmark. For someone doing research on the Somali diaspora in Scandinavian countries, that was a very attractive lieu to drop by. During my first visit, back in December 2015, I had the opportunity to chat with part of the organizing team, just few months before the opening. In April this year, I have interviewed again Danielle Guldman Sekwati, project coordinator with extensive experience in matters of inclusiveness. What follows below are excerpts from our conversation. The story of the exhibition starts few kilometres away from the museum, in Gellerup: a neighbourhood with a high percentage of people with different cultural backgrounds, including Somalis. 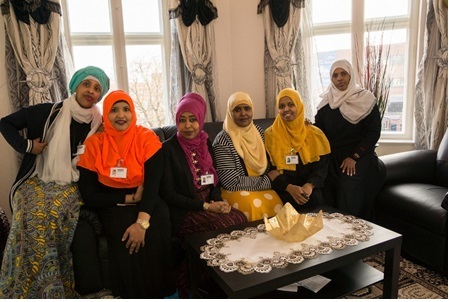 There, an outreach project held by the Museum initiated the interest of a group of Somali women that “wanted to show their home in Den Gamle By, because a lot of people would see it and their children would have a place to see themselves as part of Danish history”, Danielle reported. The proposal subsequently turned into an actual project, which has involved a team of Somali women (Deeqa Ahmed; Ilham Mohamed; Shamso Muqtar; Hanaan Yusuf; Halima Yusuf; and Halima Ahmed); historian Mette Marie Ernst Andersen as exhibition coordinator; Danielle herself as project coordinator and facilitator, and the project manager Anneken Appel Laursen. The exhibition is primarily about the life of Aisha and her four children. “You can experience their home: what the family has in the kitchen; how the curtains look; the three girls’ room; Aisha’s bedroom, with space for her little new-born boy; and the TV and toys in the living room”, Danielle explains. In the realization of the project, the Somali community was a big help, as “they collected objects and donated”. As a result of the collaboration between the Somali community and the project team, visitors can actually get the feeling of walking into a real home. Inside, “they ‘meet’ a woman who lives an ordinary life and who is struggling with her everyday life and her job, like most other who live in the town. Items that help give visitors that sense of everyday life can be the school schedules on the board in the kitchen together with the voices of the ‘inhabitants’. They can also open up the dressers and cabinets in the bedroom so see clothes for the family”. At this point, I asked her what is typical or peculiar about Somali houses in Denmark. The key word here is “simplicity”. Blank walls, for example. However, while on the one hand there are “few items for decorating”, on the other hand home accessories such as curtains, bedspread, and some vases greatly reveal certain styles as well as personal tastes and preferences. “Kids would burst into cries of enjoyment when they see the curtains and the bedspread”, Danielle told me. At the same time, many visitors have been surprised to realise that “the Somali Home is not that different from an average working class in Denmark”. This consideration illuminates on the project’s mission: it was pointed out to me that the exhibition is not concerned with the life of minorities per se, but rather it “is about telling the story of the Danish cities”. In other words, the exhibition keeps the focus on the dynamics of changing cities, while is not intended by its organizers as a “political statement”. Hence, the concept is not about stressing alleged differences: it is instead about underlining life paths and histories within the shared space of a city, where the challenges faced by people at times look pretty much the same, even though different strategies to cope with them may coexist. An important perspective on life together in contemporary cities that matters well beyond Danish borders. In a way, this is no news for the museum. The same principle was in fact also behind the realization of earlier exhibitions, which show how the Turkish “guest workers” (an expression in vogue to refer to those emigrated in the 1960s) and the Greenlandic minority used to live in Denmark. In the same fashion, A Somali Home recounts thus “a broader and more including story about the Danish cities”, which takes into account the changes occurred since the 1990s, the years when a huge flow of Somali refugees first reached the Scandinavian country. But is not just the present time to be taken care of. Two thematic rooms inform the visitor about homeland Somalia, the experience of Somalis as refugees as well as the dreams for the future, and it is of paramount importance that Somalis themselves are given a voice to convey their aspirations. In fact, A Somali Home has nonetheless a special meaning in relation to the public debate surrounding the Somalis living in Denmark. Somalis started to reach the country in the aftermath of the civil war that erupted in the homeland. The idea that they represent the ‘least integrated’ group in Denmark has been the leitmotif of the last two decades in certain segments of the public debate as well as media, and the recent migration, coupled with their comparatively high dependence on state welfare assistance, have certainly had the effect of propagating this view. Just few months ago, the Danish government has decided to withdraw the residence permit for Somalis and send them back to homeland Somalia, despite existing concern for their security. Several hundreds of cases have been addressed since. However, leading newspaper Politiken has recently exposed a confidential agreement between Denmark and Somalia, according to which a maximum of twelve people can be effectively repatriated each year. Somalis in Denmark are once again in the spotlight. Moreover, the debate over repatriation takes place in the background of another protracted discussion: the one about the intrinsic meaning of “Danishness”, which in the last months especially, has involved the society at large. In this respect, Islam and Muslims are often viewed as not being fully complementary with Danish values: a perception that is not peculiar to Denmark only these days. Yet, “with an open mind, the visitor will get challenged about the ideas of what it means to be Danish and Danishness. The exhibition tells about how the Somalis came to Denmark and how they became part of Denmark, and how they made a life here. But it also tells about how Denmark sees them and greets them”, affirms Danielle. Therefore— even if the organizing team did not allow political questions to penetrate the spaces of A Somali Home, in the framework described above the exhibition is a real breath of fresh air. One of the Somali women in the organizing team told me about the reaction of the Somali community in Århus: “They think it is a good idea. All of them have a common understanding of being tired of the media and the focus on them”. The exhibition can even serve the bigger purpose of a win-win integration in the Danish society, beyond prejudices. The organizing team’s approach has received an overwhelming positive feedback: “especially amongst the children with Danish and Somali upbringing who have come here with the classes to visit. They took great pride in showing the exhibition to their schoolmates. Everyone in Århus with Somali background know about the exhibition and most are very proud of the exhibition and find it necessary”. Danielle underlines: “to most visitors it was an eye opener. It has reached many people. Children with different backgrounds and grown-ups. There has been quite a number of classes to visit from elementary school level to higher education level. We have experienced a lot of families coming to visit the Home to see how Danish-Somalis live. One of my favourite encounters with some guests in the Home was when I met a group of youth criminals on a study trip. They were looking like a rough bunch but they really loved the exhibition and wanted to talk more about it, how it was made, about the women who made the exhibition, and so on”. She then adds: “The interest from the public was considerable and for that reason we hired a young university grad with Danish-Somali background to do guided tours and be a custodian. Ilham from the work group also took time to be in the Home some weekends to meet people and answer their questions. The guests enjoyed being able to meet people with Danish-Somali background and being able to getting their questions answered”. Because of the overwhelming interest in the exhibition, it was even decided to prolong it until the end of 2017. 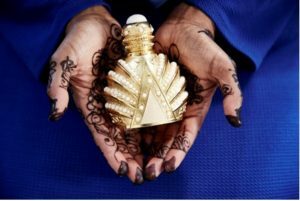 Ironically, and notwithstanding the apparent positive welcoming of the initiative, “very few Somali families have come by to see the exhibition”, says Danielle. “I guess there can be a number of reasons for that. But we were positively astounded to experience a very big interest from other Danish families and people. People are interested in getting to know about the Somalis in the local area”. At the time of my first visit in late 2015, one of the Somali team members told me that, for some people, “Den Gamle By is a very important area: they think that this is their traditional Danish museum, and therefore is not alright telling other people’s stories”. Well, while some external politicization of the event occurred, the exhibition seems to have reached successfully the goal of setting up the representation of a part of the city life, which locals have demonstrated to appreciate and to recognize as belonging in full to the civic heritage. Danielle recalls in particular a woman that “had gotten a new-found respect for Den Gamle By” through the newness brought by the exhibition. These are indeed remarkable accomplishments, and important steps on the way to narrate common experiences of living together through a less divisive lexicon (including figuratively). Hopefully, it will last as a meaningful example for the work of bridging those cultural gaps that afflict contemporary European societies.